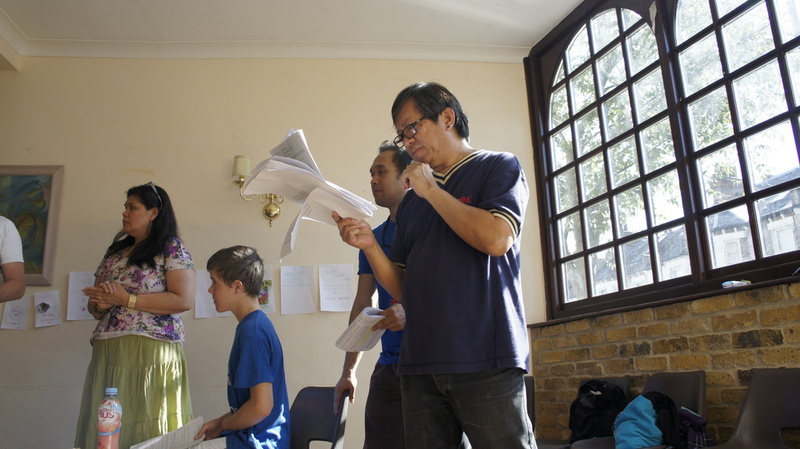 The Philippine Theatre UK rehearsal I attended on Saturday 19 July was held in Our Lady of Perpetual Help Church Hall in Fulham. 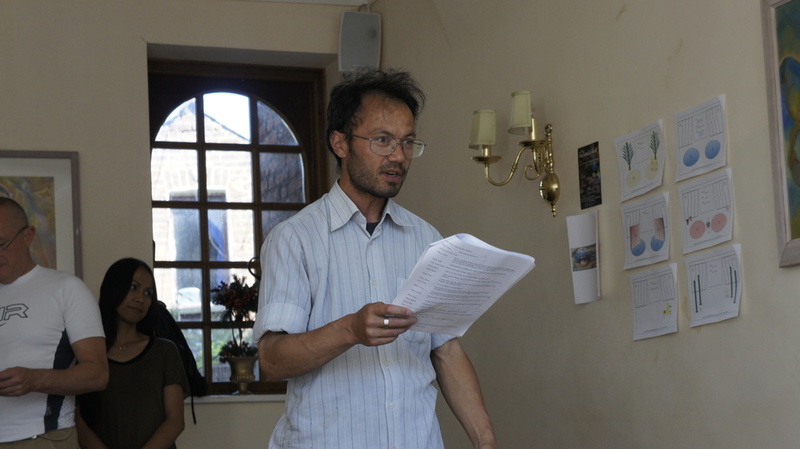 Despite swelteringly hot temperatures, the ensemble worked through their 6-hour rehearsal with laughter and dedication. Having attended the original read-through, it was exciting to watch the production get up on its feet, under the direction of playwright Ramon Tenoso. The final production of The Enchanted Bird will perform from 24-29 September at the Chelsea Theatre.